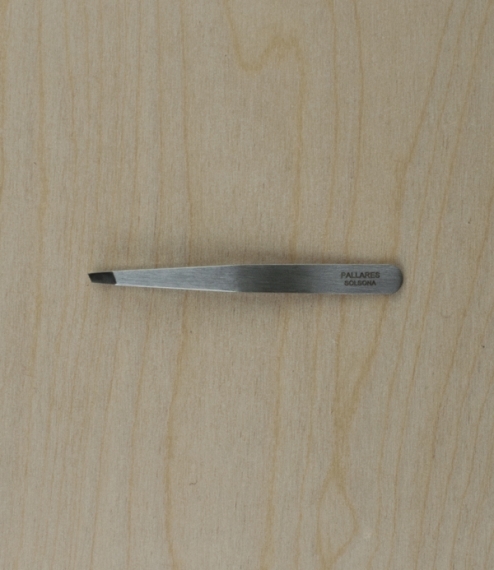 Strong fused strip constructed professional grade tweezers with precisely ground slanted tips. Ideal for cosmetic and first aid use, the thicker grade sprung steel allows for a firmer grip without back-flex which can pivot along the rear of the gripping plates forcing open the point. 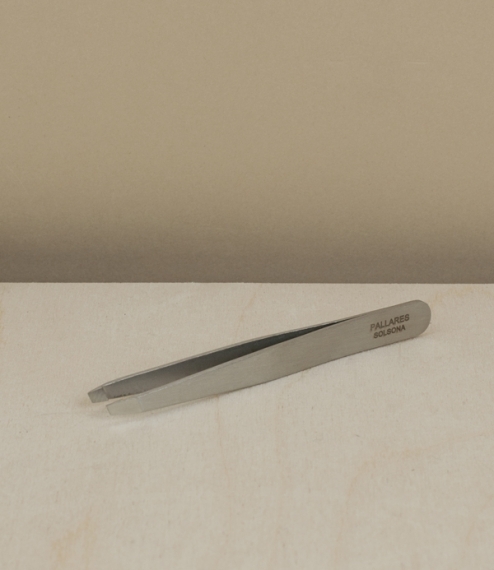 From the workshops of Cuchillería Pallarès the one surviving knife and tool maker in a town once dotted with small manufacturers. Now with a workforce of 15 the management still split their time between administrative necessity and manual craft production. 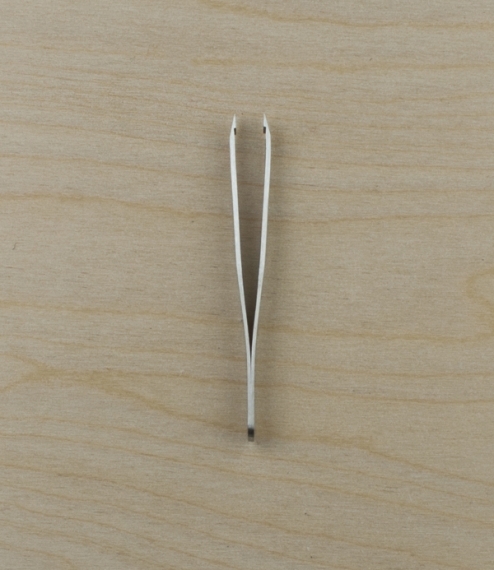 95mm long, 3mm length of tip.